In the Fitzy house we like pickles. Like…really like pickles. In fact we have been known to eat an entire jar in one sitting…which isn’t that hard to do with 6 people. 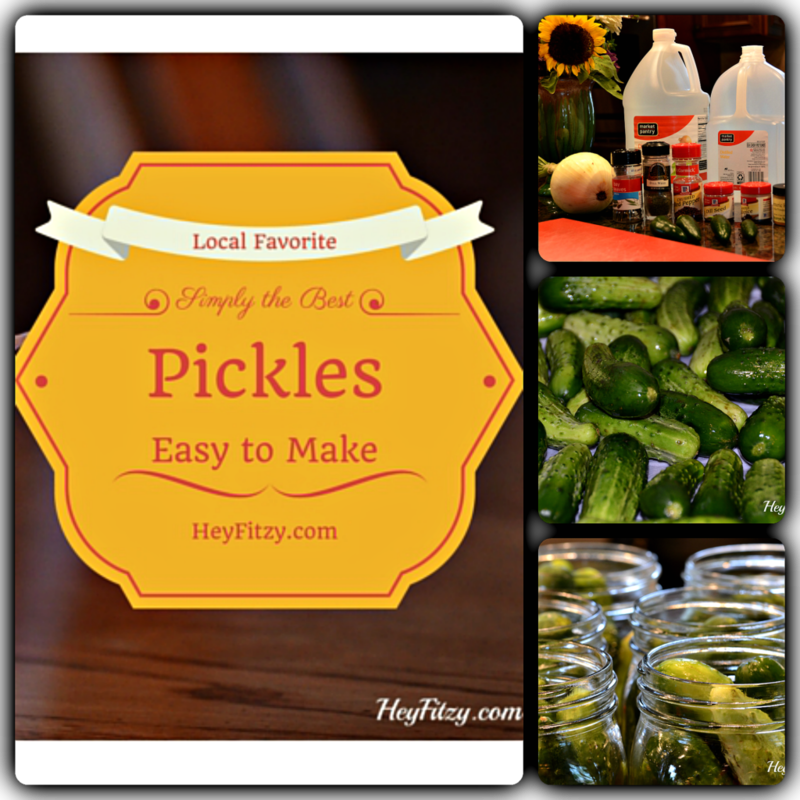 With the garden in our backyard, we have enjoyed trying several different pickle recipes. Over the years we have crafted our favorite recipe and are happy to share it with you here. 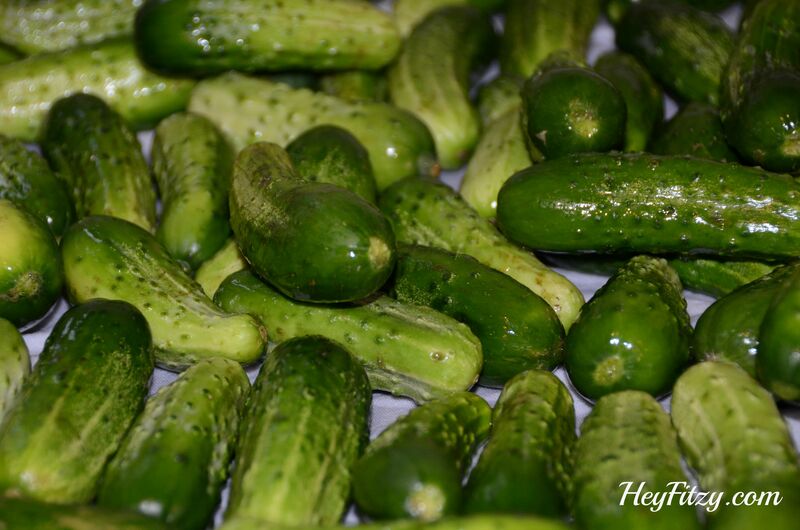 You will see we utilize several different ingredients to craft the perfect pickle. Many of the ingredients can be adjusted per your liking. Nothing like fresh cucumbers from the garden. Filling the jars is a great way to get the kids involved in the process. Oh My! These are simply the best pickles! They are easy to make and always a hit! Loved by all. Fill each jar approximately with cucumbers. We like to use whole mini cucumbers for best results. Slice your onion the long way and place 2-3 slices in each jar. Cut the top off your jalapeño pepper in half to remove all seeds. Slice the peppers in half or thirds depending on your desired level of spice. We place a half a pepper in each jar. In each jar you will now place: 1 bay leaf, 1/2 tsp minced garlic, 1/4 tsp yellow mustard seed, 4-6 black peppercorns, 4-6 whole allspice, a pinch of dill seed, a pinch of dill weed, a small pinch of turmeric, and 1/4 tsp sugar. Over the stove, mix the following: 3 parts distilled water and 1 part distilled white vinegar. 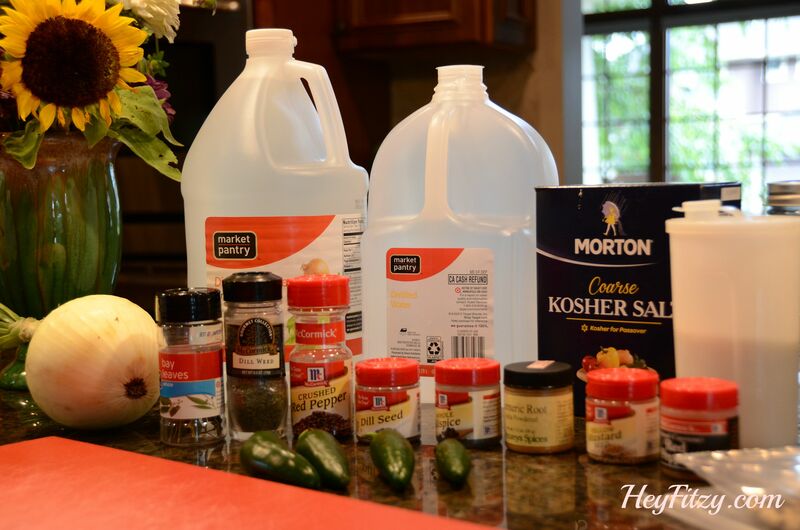 For every quart of this mixture add 2 tablespoon of kosher, non iodized salt. Bring to boil. Pour brine mixture over the cucumbers/spices in each jar and seal. Jars must be kept in the refrigerator. The pickles will be ready in 7-10 days. Pickles will keep in the refrigerator for up to 20 weeks. 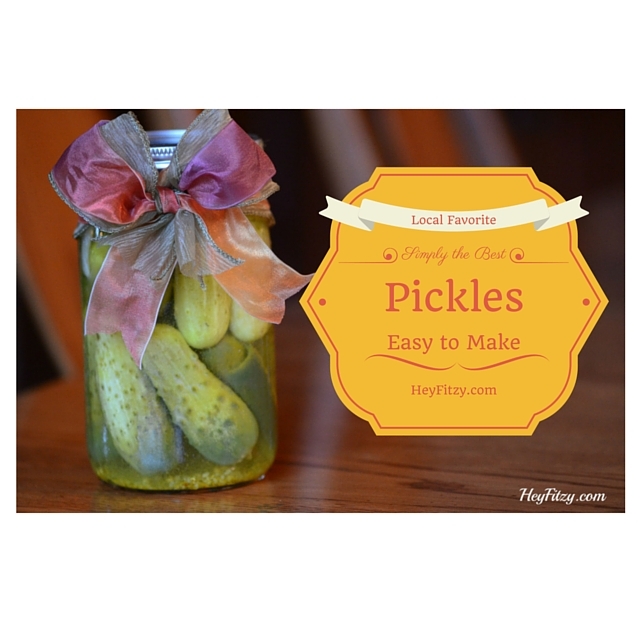 These pickles are a hit with all our friends and family. 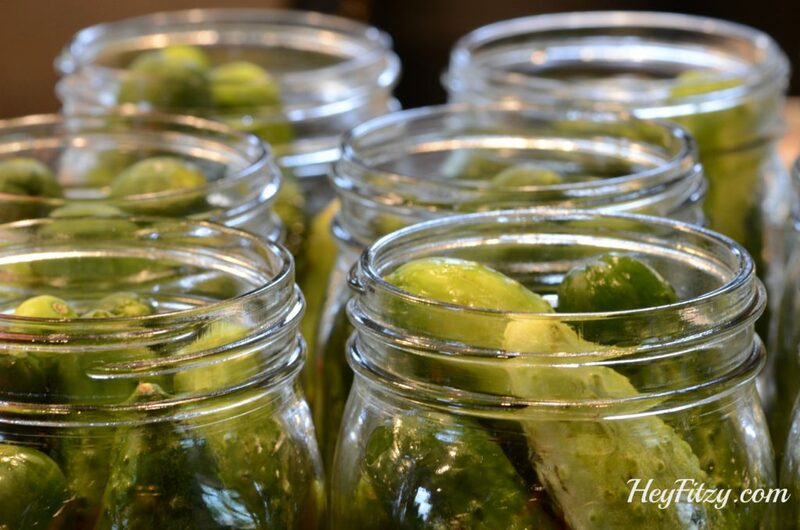 We are known to make a large batch and share with all our pickle loving friends. Jars tend to disappear very quickly around here.